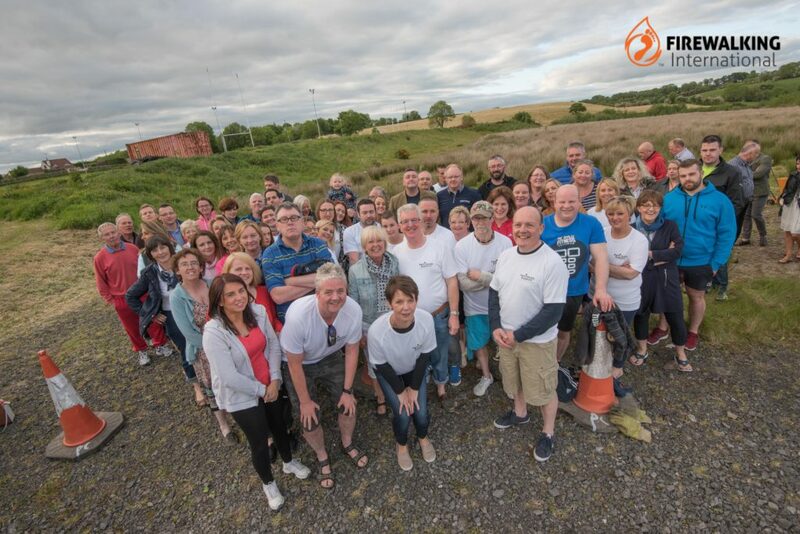 It is no surprise that these guys raised over £22,000 at the Parkinson’s Support Firewalk. 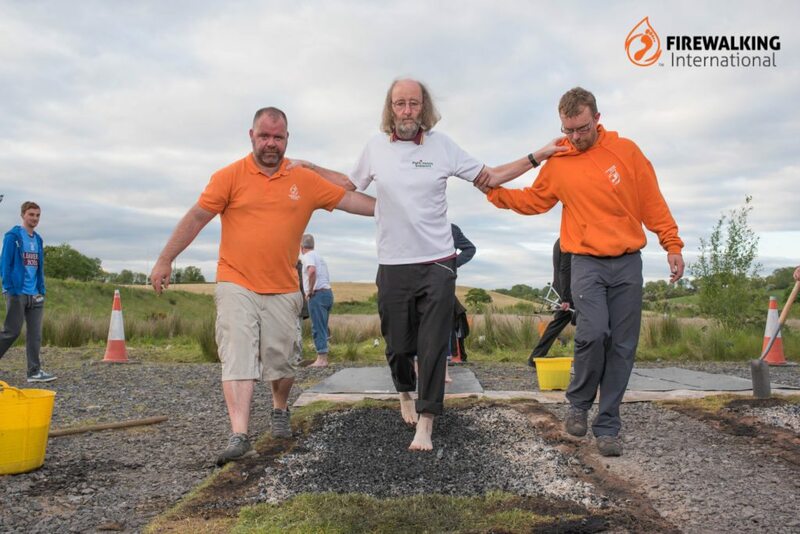 Both Brendan and Eugene are members of Parkinson’s Support Group, Fermanagh, and the entire group gave its full support to the Parkinson’s Support Firewalk. The men have a long friendship spanning many years, and Eugene, who was a joiner, put the roof on Brendan’s house 34 years ago! We met with Mark and Nuala in February this year and they told us that one aspect of Parkinson’s is its effect on the ability to walk, and the Firewalk highlights “that we are able to take up such a challenge.” We were also advised that a number of those in the group who had Parkinson’s wanted to take part! With this in mind, we went through all that was involved in organising a Charity Firewalk. Everything from the logistics on the night, what could be added to the event to draw in more spectators and, of course, how to recruit the Firewalkers! Nuala and Mark quickly got to work on creating awareness for the event. They got posters designed, setup a Facebook page and event, arranged for local media to promote it. A JustGiving page was set-up and they talked to anyone they met about the Firewalk. In effect, they were the ambassadors for the event and got many other people to promote and recruit volunteers. 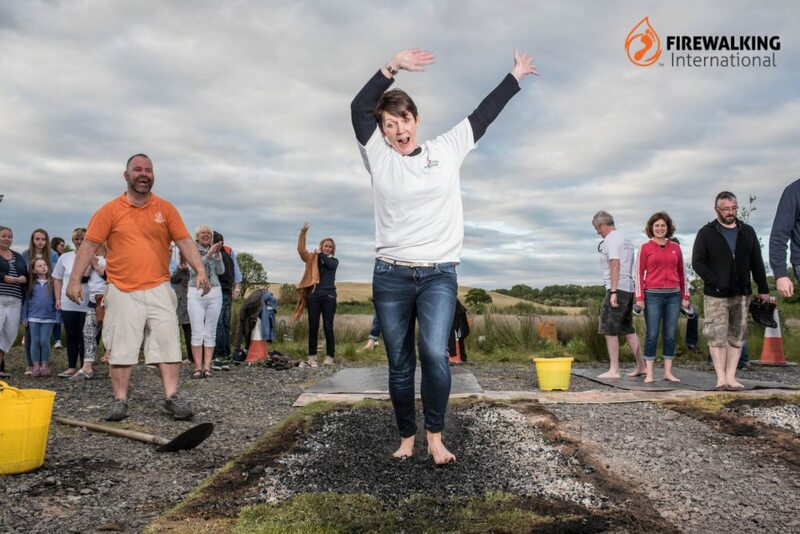 They did such a great job at this that when we met with them a few weeks before the Parkinson’s Support Firewalk, they had 85 people signed up! They also had £5,000 raised already! People were very keen to support a novel event. With 85 people confirmed and more expected we knew it would take 2 fires to run a successful event. Our Team of 5 were onsite for 3.30pm and had both fires built and lit by 5.00pm. In total, 70 people checked in at the registration desk. They were of mixed emotions, some excited, some scared, some quiet and some getting busy chatting. Fairly standard mix for any Firewalk. Everyone took part in a Glass Walk as well as the Parkinson’s Support Firewalk. When it came to the Firewalk, we were lead outside by a drummer to a crowd of about 300 people. The cheering was immense. Everyone walked over the fire, including two men who had Parkinson’s and one young woman whose dad died from Parkinson’s a few weeks ago. She was actually among the first to signup and when she walked across the Fire the cheering and clapping was incredible. It was impossible not to feel the respect and support. When everyone was done walking across the Fire they were soon spotted eating burgers and having a drink at the bar. It was a great night with great people. The careful planning by Mark and Nuala, the support from the Parkinson’s Support Group and the local community really made it a huge success. You can see why they were able to raise £22,000! We wouldn’t be surprised if this total continues to rise in the next few weeks. Well done folks, it was an honour to provide this Firewalk to such a worthy cause!